Automatic, Animated Targets at Eagle Gun Range | Eagle Gun Range Inc. Most indoor gun ranges have rules and conventions that make it difficult for folks to do much more than static target shooting. 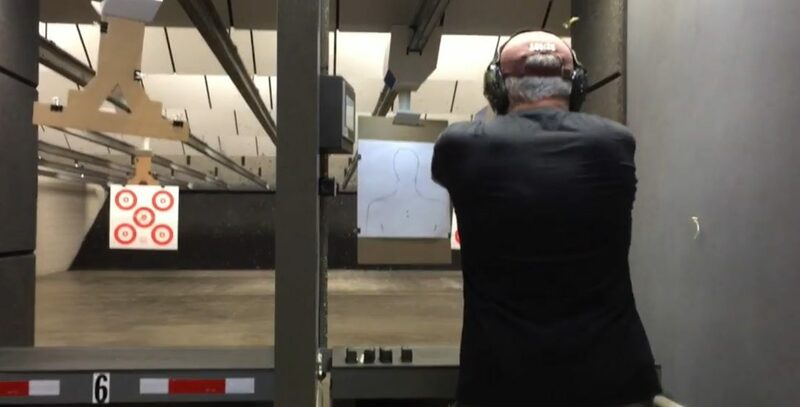 While target practice and precision fundamentals practice can be fun and they’re important components of shooting practice, if that’s all you get to do you’re missing out on other important training—and fun. Now, Eagle Gun Range has a way to help you move beyond mere target shooting. The Farmer’s Branch location of Eagle Gun Range has a target system that can greatly broaden your training and your fun. In addition to static positions at 1 to 25 yards, their automatic, programmable targets also have 27 animated programs for pistol and rifle that offer fun and challenging training drills to test you and keep your practical skills sharp. For example, here’s a video of portions of a couple of runs through the Decision program; a shoot / no shoot drill that uses a bad-guy and good-guy side of the target. This video is on the advanced setting and the drill asks for three shots each time the bad-guy target is presented for 1.5 seconds. Note that the beginner and intermediate settings present the target for longer periods of time. 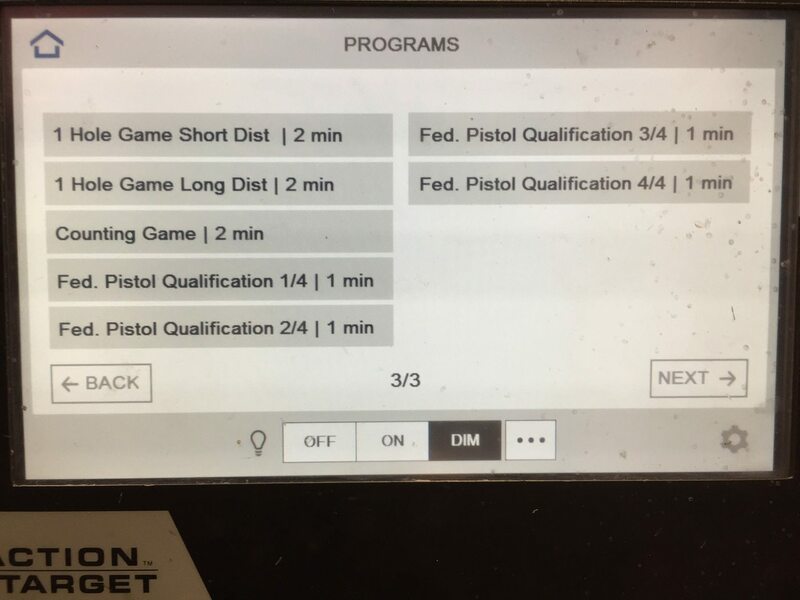 Each shooting lane has a control pad that offers a menu. 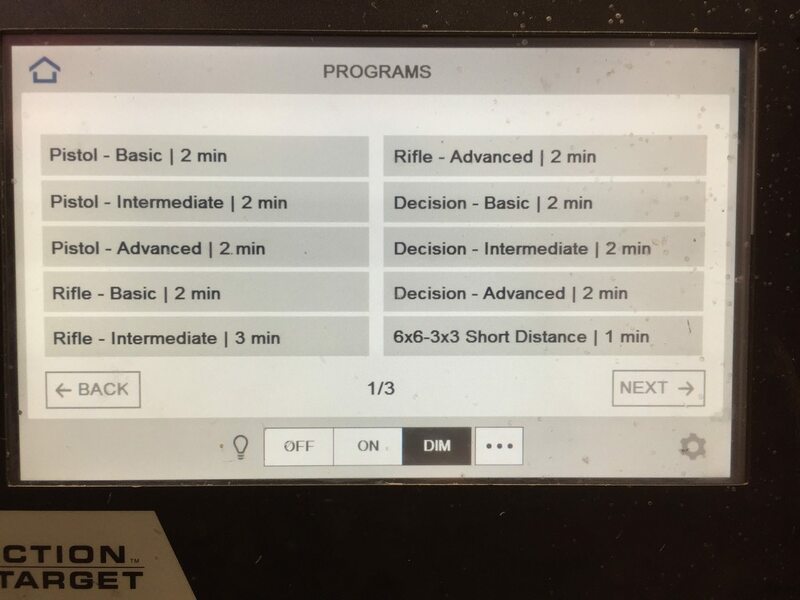 From here you can choose “Manual,” which you can use to set the static location of your target for precision target practice; “Drills,” which is a topic for another post; and “Programs,” which offers an array of pre-programmed shooting courses. Several of the programs have beginner, intermediate, and advanced settings. It is important to note here that because many of the programs require or allow a number of shots within a short span of time, you are allowed to break the 1-shot-per-second rule at this Eagle Gun Range location, provided that you can demonstrate safe competence when doing so. 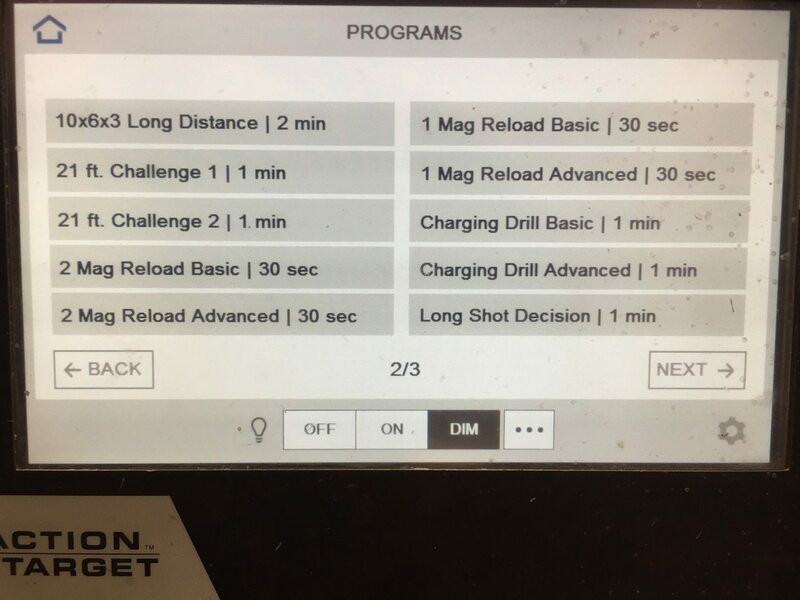 Your range safety officer will be the arbiter of your shooting speed allowance. So unlike with most indoor gun ranges, if you can safety shoot fast and on target, your Farmer’s Branch Eagle Gun Range RSO will allow you to do so. For some, “shooting faster” may mean just a little faster than 1 shot per second, but for others it might mean 4 or 5 shots per second. 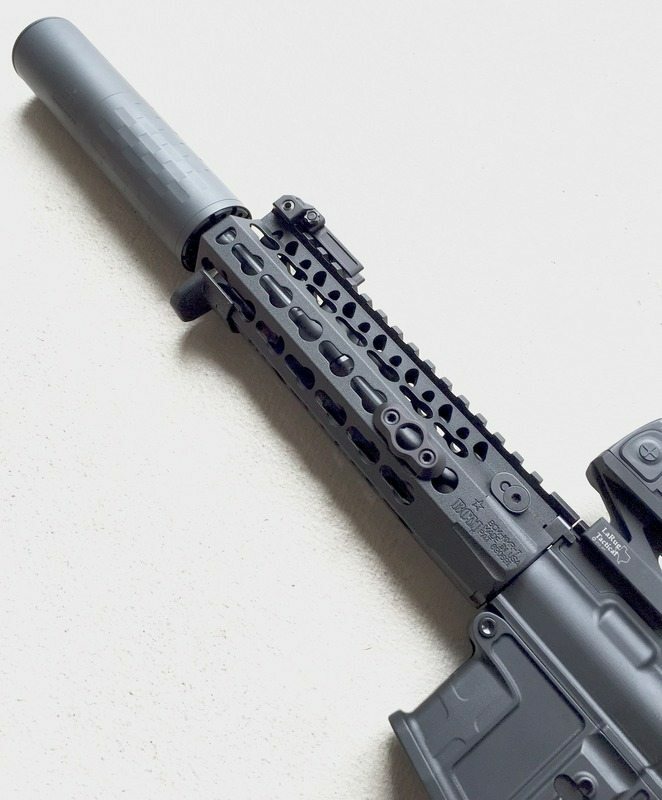 The point is not to go fast, but to take advantage of the opportunity to practice practical shooting, which may well be faster than simply 1 shot per second. To use the programs you should ask your RSO to turn on the programs for your lane. After doing so, the RSO will need to add a full-size cardboard target backing to the lane so that your target can remain flat during the animations. 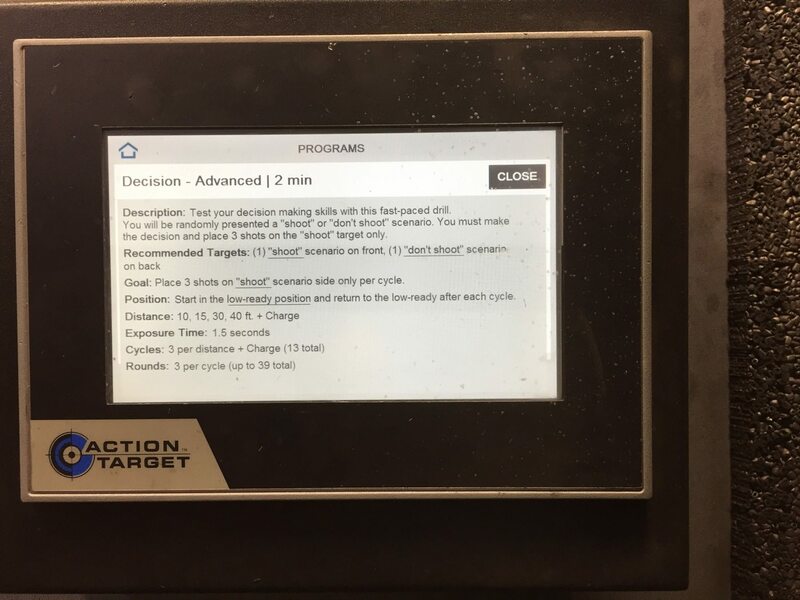 When that’s done you’re good to go; select “programs” from the menu, find the program you’d like to try, and read the instructions. Note that several of the programs will require a number of shots that may be greater than your magazine capacity. So be sure to pre-load two or more magazines and have them at the ready; either on your shooting bench, in your pocket, or in your magazine pouch on your belt. When you’re ready, press “start” and the screen will count down from 5 to 1 before the program begins. Be safe and have fun! Above: The detailed instructions for the advanced “Decision” pistol drill. 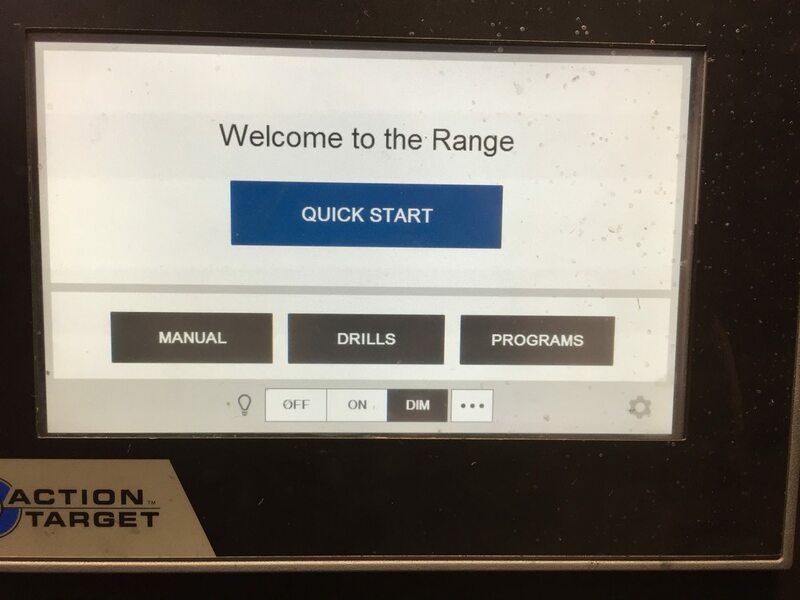 Don’t be intimidated by the fancy features here, it’s just an animated target and each program has clear instruction (and usually some comprehensive details by tapping “more”) for how to engage the drill. Try things out. Make mistakes. Try it again. It’s not a test unless you want it to be. The point is to expand your practice beyond what you’re used to. Come by the range and try them out! They’re fun and challenging and, most importantly, they allow you to stretch into more practical training with your defensive tools to better evaluate and hone your skills.